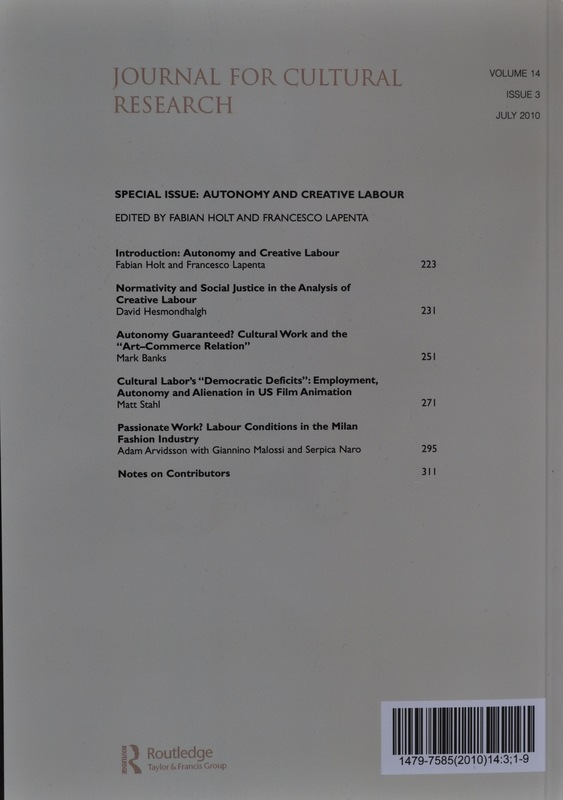 AUTONOMY AND CREATIVE LABOUR special issue of the “Journal for Cultural Research” July 2010. Editors Fabian Holt and Francesco Lapenta | Building the Future of Augmented Humans with a Balanced Judgment, an Understanding of History and, above all, a Sense of Purpose. Well it´s finally out the special issue on creative labour that I edited together with the great Fabian Holt. This entry was posted in Articles and tagged publication, publications. Bookmark the permalink. ← Kodak 1922 Kodachrome Film Test. JUst Magic.